Cassidy Single Handle Pull-Out Kitchen Faucet in Venetian Bronze Delta's exclusive DIAMOND Seal<sup></sup> Technology uses a valve with a tough diamond coating. InnoFlex<sup></sup> PEX waterways keep water inside the faucet out of contact with potential metal contaminants. This powerful combination brings you a faucet built to last up to five million uses. Only Delta faucets are equipped with Touch-Clean<sup></sup> soft, rubber nubbins that allow you to easily wipe away calcium and lime build-up with the touch of a finger. 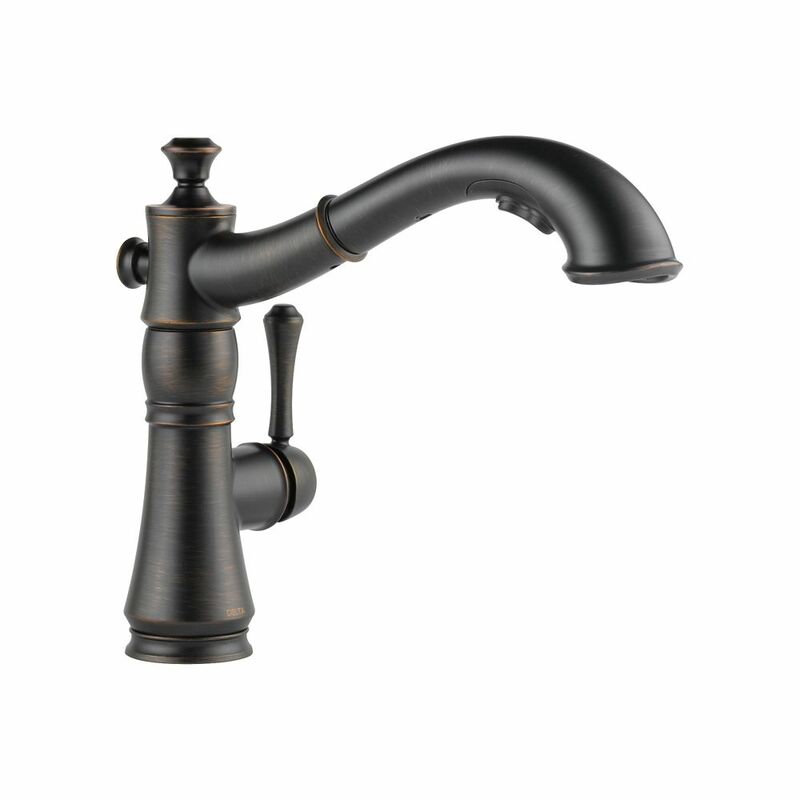 Cassidy Single Handle Pull-Out Kitchen Faucet in Venetian Bronze is rated 4.2 out of 5 by 169. Rated 5 out of 5 by AHappyBuyer from Looks great and works great. Very solid feel. ... Looks great and works great. Very solid feel. No problems with it. Rated 2 out of 5 by CHEAP from This product is not worth the money. I love the style and the color. That is all you are paying f... This product is not worth the money. I love the style and the color. That is all you are paying for. The top of the faucet has to be shoved in to get it to stay. So it always looks undone. You have to be careful not to bend the hose too much or it leaks. The top of the spray need to be all relined often. The sprays are always getting wonky and spraying funky. This was a big bummer purchase. We have had it for a couple of years now.